Before buying in South Barrington, Barrington, Schaumburg, Streamwood, Hoffman Estates, Roselle, Bartlett or anywhere in the country, should you try and sell your existing home first? It really comes down to market, finances and the home. Let's address each one separately. It may simply come down to whether or not you can afford to mortgages at the same time. 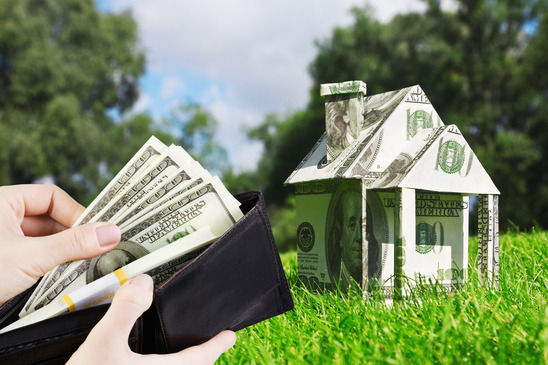 If you don't sell one home and purchase another, you may be obligated to be paying both mortgages at the same time which could put a strain on your monthly finances and budget. If you are approved for new home before selling your old one most likely you can't afford to mortgages then it comes down to, do you want to? There are bridge loans that transfer from one ownership to the other but this also can be more complicated and can add undue stress to buying and selling a home. In a slow market, it is typically not a good idea to purchase a new home before selling your current home, since these kinds of markets are characterized by a significantly greater number of sellers than buyers. In a slow market, or buyer's market, homes take much longer to sell, and the longer they remain on the market, the more difficult the sale tends to become. If you aren't very aggressive on the price point of your current home, this also causes more restrictions and a greater risk of having two mortgages to pay because of the inability to sell. What About A Hot Market? A hot market (or seller's market) can often mean higher pressure; there are many buyers on the market and fewer sellers, and all of the good homes are getting snatched up quite quickly because they are harder to find. In these markets, it's typical for prospective buyers to find their next dream home before even putting their current home on the market. These situations often lead to buying before selling as a result of pure enthusiasm and competitiveness for the new home. Buying another home before selling yours can get very tricky and you might find that buyers will not accept an offer contingent on the sale of another home. This can be extremely risky, however, selling a home without another home purchase on the horizon can also be stressful. It all depends on your price point, how desirable your home is and the market. Be sure to check with me if you have any questions and we can figure this out together. I can offer my advice and counsel on real estate sales and purchases throughout the Barrington, Roselle and Schaumburg Illinois real estate area. To get a better idea of whether you should buy a new home before yours is sold based on the current market conditions, you should do sufficient research. To gain a clearer understanding of what your best and safest options are, Call "Stevie D." Your ReMax Real Estate Specialist : Direct # (630) 479-9479 . For All of Your Real Estate Needs ~ Call "Stevie D.